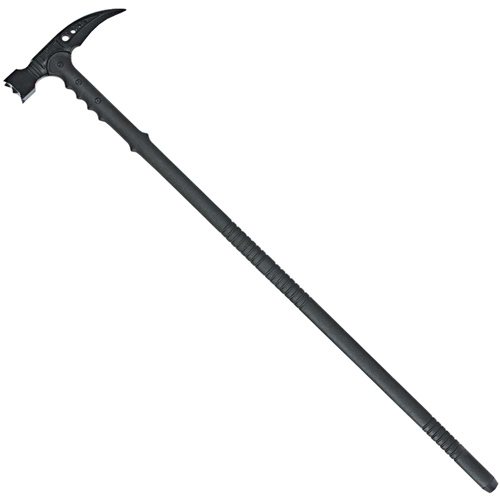 The M48 Kommando Tactical Survival Hammer from United Cutlery is the perfect companion for hiking and camping. With a 37 3/8” overall length, it's great as a walking staff while camping. 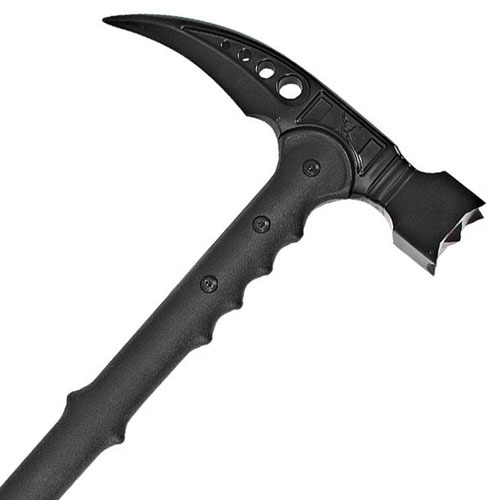 The cast 2Cr13 stainless steel, black oxide-coated head can pummel almost anything with ease. 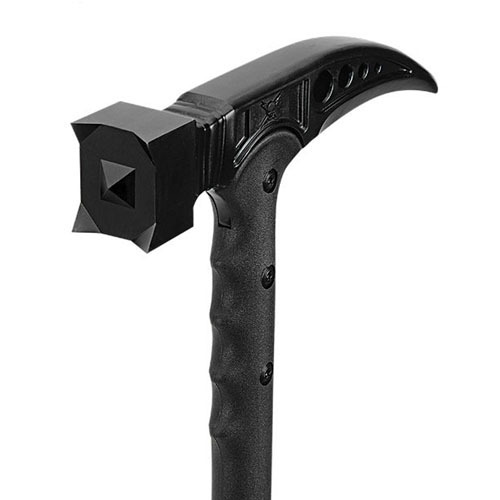 The cane handle features a defensive war hammer head and a curved back spike, which offers great applications as an effective breaching tool and defensive hammer in addition to being a fully functional walking cane. The 30% fiberglass handle is nearly indestructible, and the axe head is attached to it with metal bolts. Includes a rubber toe on the end of the cane.